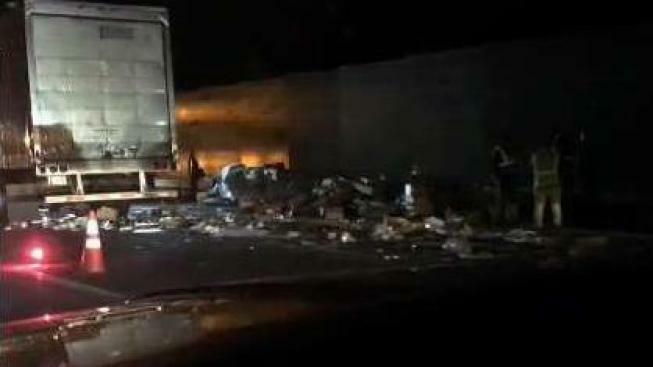 About 1,000 packages spilled across Interstate 495 Wednesday night after a UPS truck and tractor-trailer were involved in a crash. The crash was reported at about 10:30 p.m. in Chelmsford, according to Massachusetts State Police. Three people were rushed to Lowell General Hospital with non-life-threatening injuries, officials said. Two victims were drivers of the UPS truck and the tractor-trailer while the third injured person was the driver of another car. A second UPS truck responded to the scene to pick up the fallen cargo and take them out for delivery. 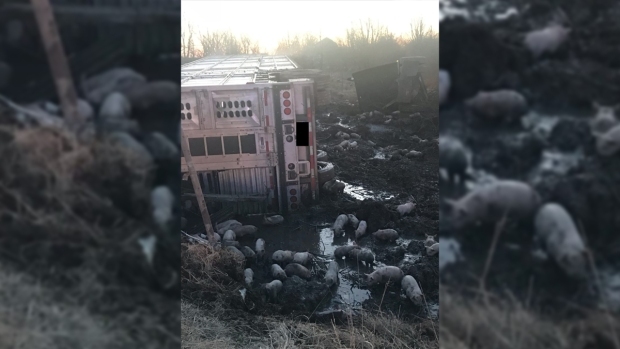 Two lanes of the interstate were closed for several hours while crews picked up the packages and authorities conducted an investigation. Details on what led up to the crash were not immediately available.